Is it really Friday already? I can't believe how fast the week seems to be going! 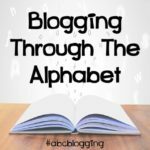 I spent some time this week reading other blogs. 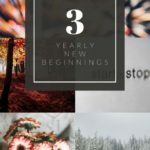 I love to do this, and I was thinking, I could share with you my top 5 favorite blog posts of the week. This is the first time I have done this. I have done 5 on the 5th before, but this is different. This is 5 from just one week not a whole month. I figure this is a great way to show you want I am into when I am not being mom. When I have some time to myself and to do what I want! What a blessing! 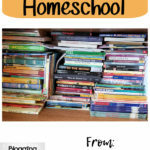 So this last week I found a variety of awesome blogs. I was able to find things from all over the "mother" board! My first one I wanted to share is from Serving Joyfully. This is a new blog that I found this week. I love when I find these…it usually means I end up going through their posts and wondering why I hadn't found them yet! 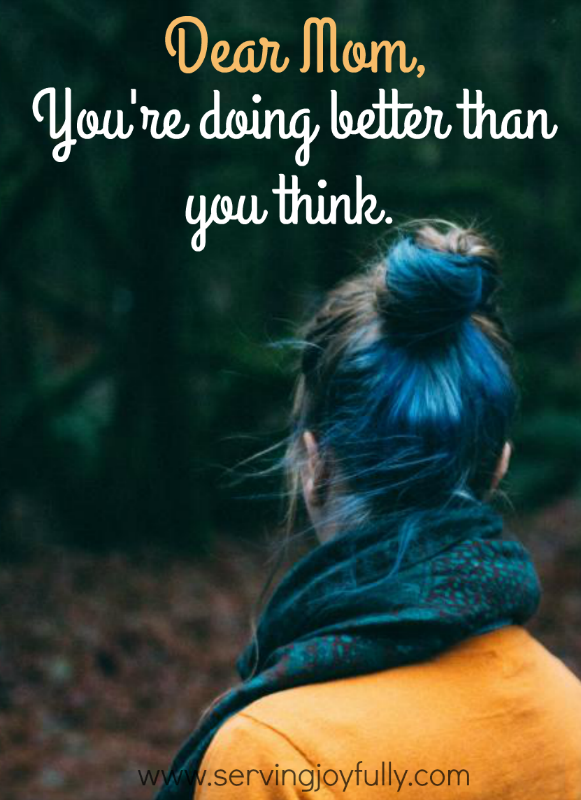 I loved the post Dear Mom, You're probably doing better than you think… This post was one that touched me. I love finding a post that makes me feel better about my bad days. A post that reminds me that I am a mom that is doing her best. Check it out!! 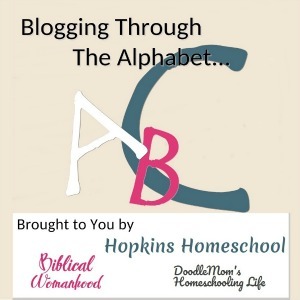 Mama of Many Blessings is the next blog that I was drawn to this week. You know how much I love my crockpot and freezer cooking. I find that this takes time away from other things that I need to be doing, while still giving my family a healthy meal. While we have our favorites, we are always on the lookout for a new meal. 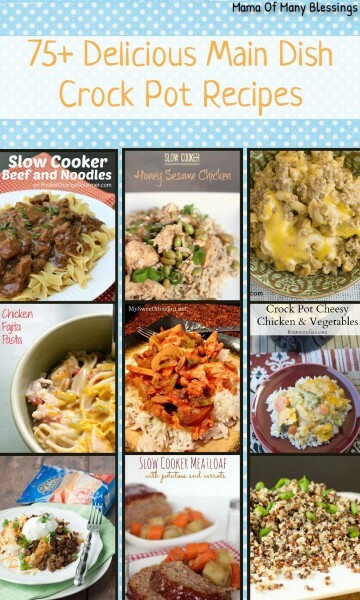 Nicole put together this post, 75+ Delicious Main Dish Crock Pot Recipes that is just what I am looking for when I need a new recipe. Do you use your crock pot on a regular basis? Which of these is your favorite meal? 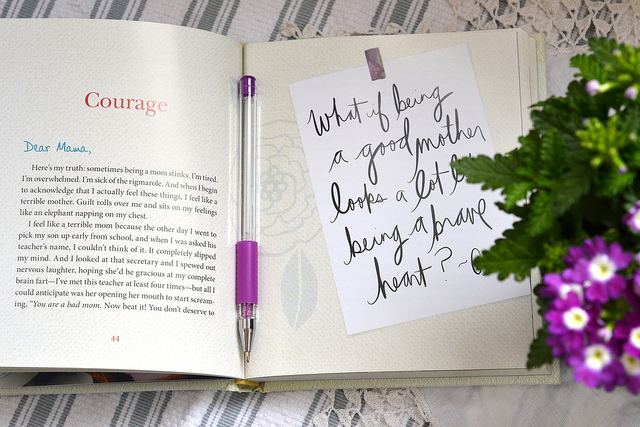 Over at Bluebird Beginnings, I found a wonderful post, How to Be a Good "Mom Friend". This post…oh my…this post is me! I would have thought that I wrote this, but I didn't. Moms, we all need friends and this post is a great way to remember that. From baby bodily functions to the wonderful toy décor, this post lets you know how to be a good friend to a mom of one, two, or more kids. This also helps other moms know, we all want the same thing! 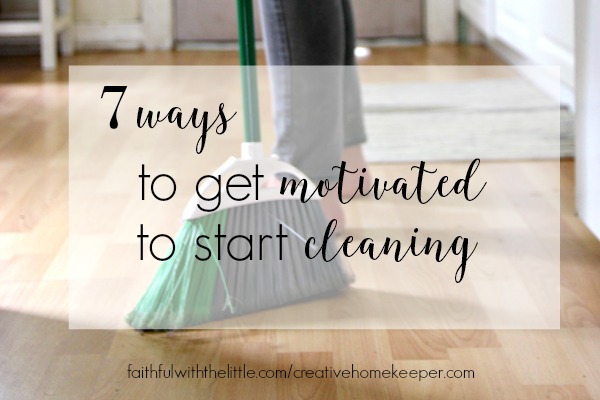 Victoria over at Creative Homekeeper has this brilliant post, 7 Ways to Get Motivated to Start Cleaning. She has some great ideas here, and they make sense. Hello, invite a friend over. Even though they are your friend, you will do some cleaning before they get there, plus you get the benefit of visiting with a friend in the end! What are some ways you get the motivation to start cleaning? And Lisa-Jo Baker has a post that made me tear up. What I Want to Tell My Daughter About Being a Mother is a post that spoke to my heart. It is one that made me sit back and look at my girls. I am not living up to what the other moms are doing, I am showing them how to be a mom. Am I doing what I want them to do? I sit and think of all them to be as moms while I rock them to sleep. Those times when I put my work aside because they have snuck downstairs and quietly ask to be rocked. This post reminds me that those are the moments I want them to have as moms and I hope they enjoy them as much as I do. So these are my five favorite posts of the week. There are a bunch of other ones that I spent time reading and that I enjoyed, but I had to narrow it down! What have you been reading this week? Are there any posts that stood out in your mind? Thank you for the link up. I am so very glad that you enjoyed my post! 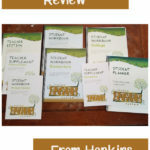 I enjoyed looking around your blog and and looking forward to following. Thank you so much for featuring our crock-pot recipe ideas. I am right with you we monthly freezer cook because it saves so much time and also because it helps us not eat out as much lol, and I am always on the look out for new recipe ideas. I hope you have a blessed weekend!! Thank you! I hope you also have a blessed weekend! I love finding new ideas! The freezer cooking has become the norm in our house now, in fact, I am prepping with my mom and uncle for a month long prep session…this is the biggest one we have done so far! I am excited! !